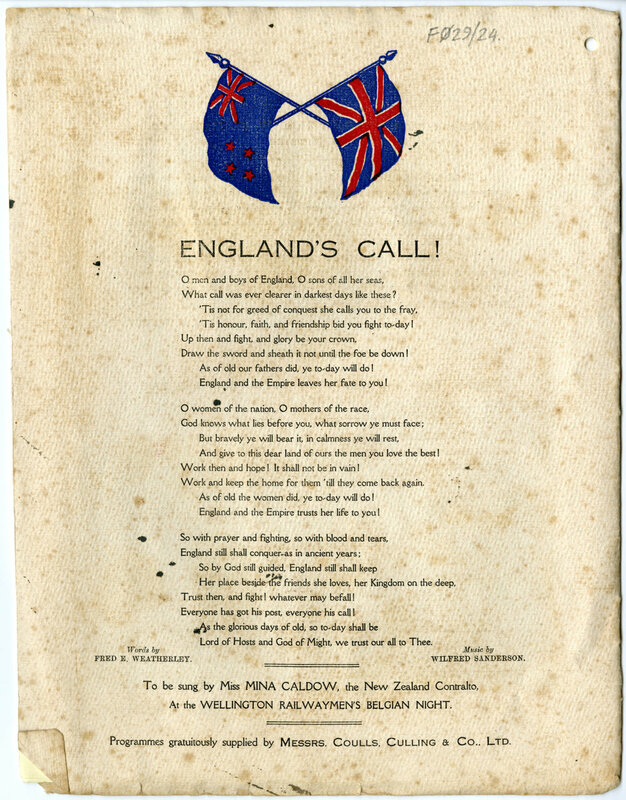 This signed booklet comes from the archives of the Royal New Zealand Engineer Corps Memorial Centre. Click here to learn more about this important local resource. 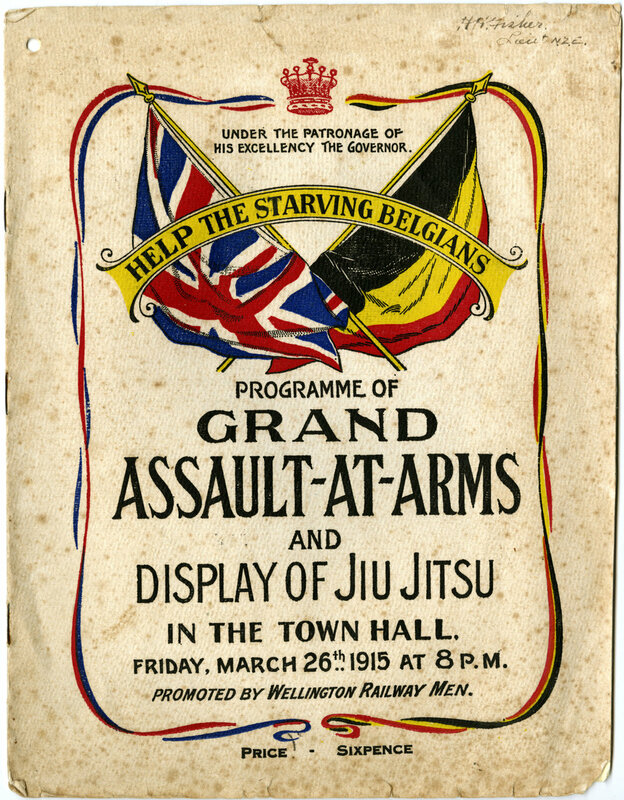 Fundraising campaigns to help Belgium were widespread in New Zealand, including efforts in the Manawatu - illustrated here by the local branch of the Scandinavian Society. Newspapers of the time explain that the women wore national dress and sold 'egg coffee', a traditional Scandinavian recipe - named for the egg whites that were mixed in to remove the bitterness of the coffee. This coffee stall was part of a larger local initiative, including a jumble sale and many baked good stalls. Mayoress Elizabeth Nash was instrumental in fundraising for the Belgian Relief Fund, organising this and many other events for the cause. 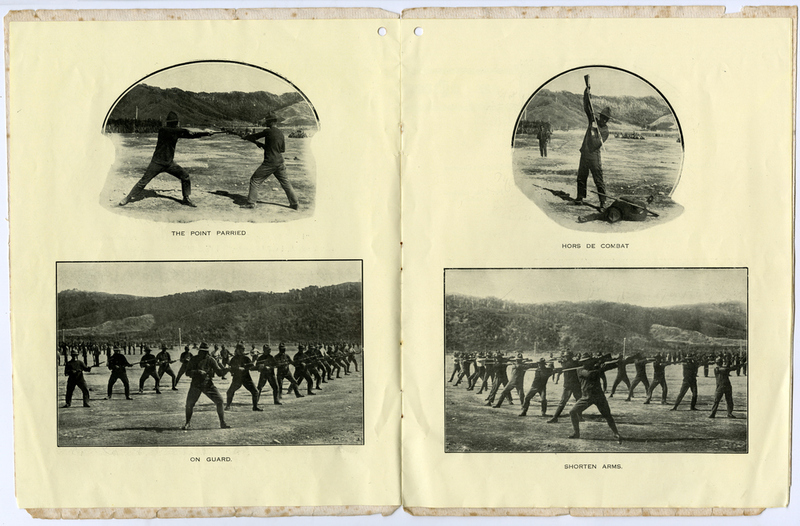 NZhistory.net notes: "Many New Zealanders rallied to send assistance to Belgium when war broke out in 1914. 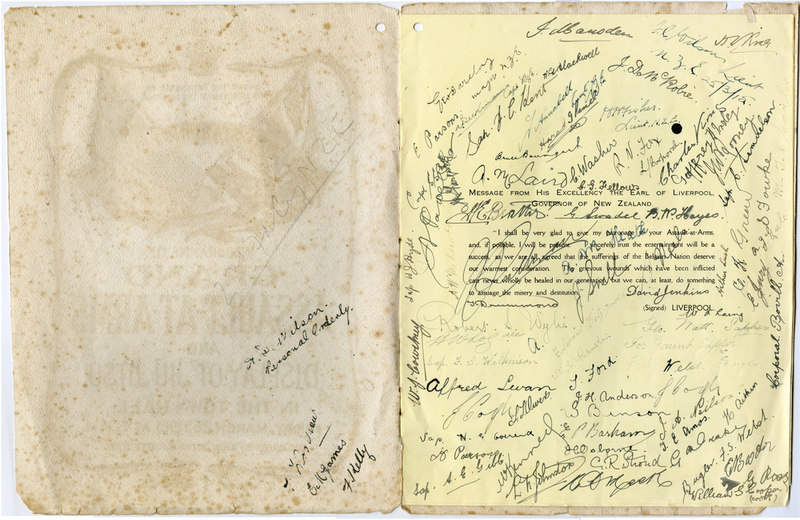 Clothing, bedding and food were all sent to Belgium to assist those affected by the war. 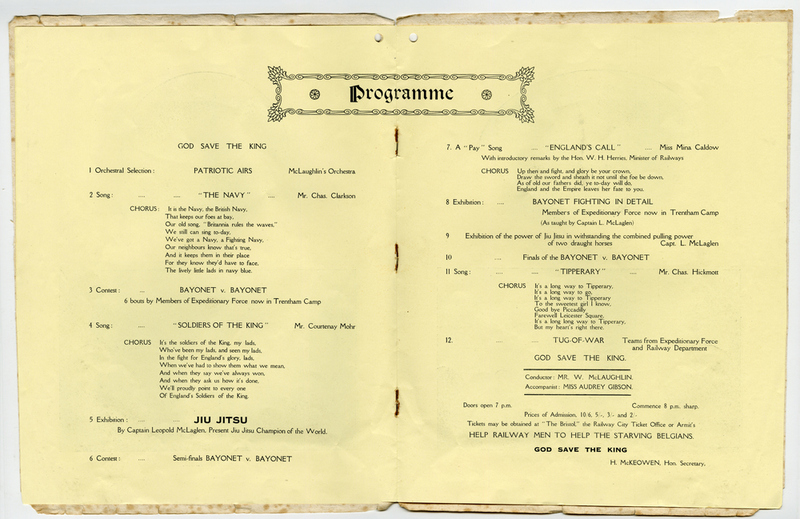 New Zealanders also made donations to the British and Belgian Relief Fund, based in London. By early 1915, New Zealanders had sent over £37,000 to London for Belgium – a contribution which, in the words of Belgian Minister Count de Laising, ‘is so deeply appreciated by my suffering countrymen, and will ever be remembered by them’. Mayors in towns and cities set up relief funds to handle donations of goods and money for Belgium. Shops and workers sometimes pledged money weekly. In March 1915, Herbert Seaton’s Cut Rate Stores paid their sixth weekly instalment into the Wellington fund."